My Dewalt family history originates with the immigration of Heinrich "Henry" Dewalt, and his wife Maria Catherine Greaver and her brother Gabriel, from somewhere in Palatinate, on the ship Chance from England in 1766, arriving at Philadelphia about September 23. Elsewhere in my database I have a 1778 marriage to a "Devald" at Hütschenhausen, between Kaiserslautern and the French border in the old Palatinate, so it's reasonable to suspect that area as the region where our Dewalt family lived in Europe. Another Dewalt family immigrated to Northampton County, Pennsylvania in the same timeframe, and I've long suspected there was a family relationship between the two immigrants. Originally German speakers, descendant families adopted a variety of spellings including DeVault (Tennessee/NC), Davault (Indiana), and Dewald (Virginia/WV). 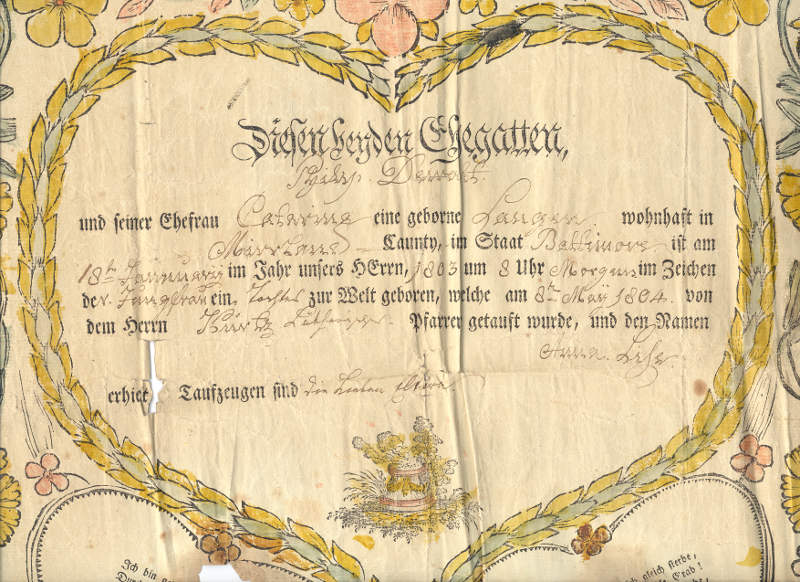 Written in the German of her parents, the record reveals that the family name was "Dewalt", as well as the mother's surname "Lang", and that the christening name was Anna Liza Dewalt. 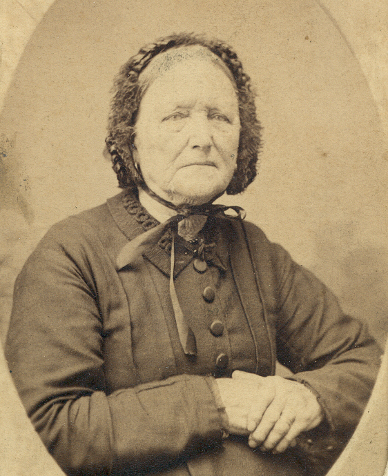 Ann Eliza (Dewalt) Larimore, daughter of Philip Dewalt and Catharine Lang/Long. These photos appear to have been taken the same day, probably at Newark, Ohio, the nearest town to her home in Licking County. 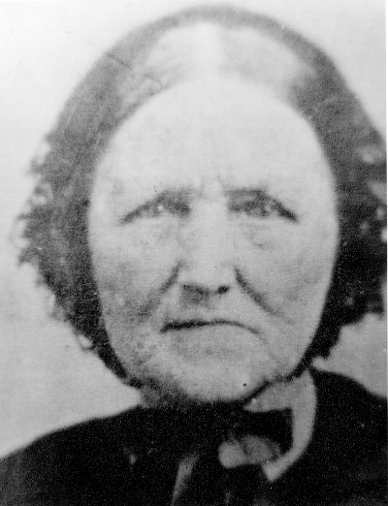 Born at Baltimore, Maryland in 1803, raised at Three Churches in Hampshire County, Virginia (now WV), she married James Larimore there, and then traveled on horseback in 1826 with her husband to Licking County, Ohio, where they lived out their lives and raised a family of seven children. 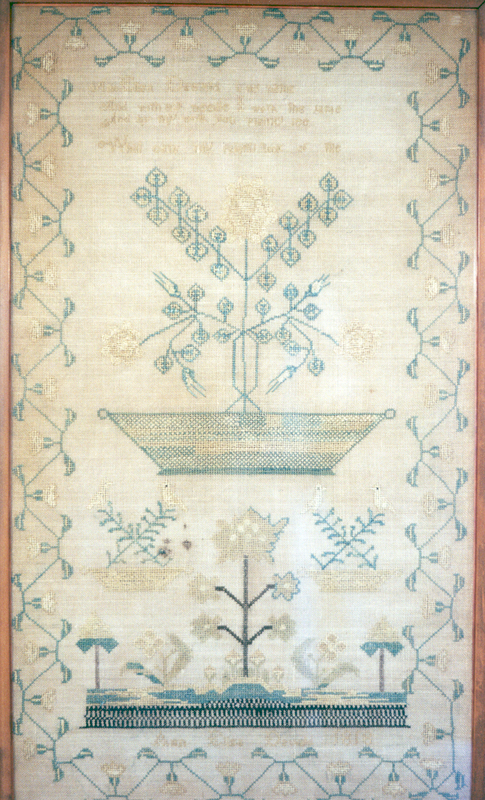 In the German-American tradition of the time, Ann Eliza prepared a "sampler" -- a demonstration of her proficiency with needlepoint, on a piece of fine linen. The date is 1818 -- the passage of almost 200 years has not been kind to the colors in the thread. 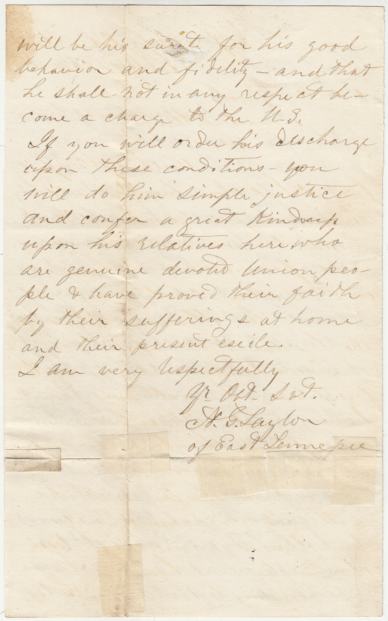 This letter to President Abraham Lincoln reflects the desperate circumstances of John Augustus DeVault's forcible conscription into the Confederate Army, and subsequent capture and imprisonment at Camp Douglas (Chicago) . It says that he would prefer to take the oath of allegiance and remain in the northern states for the duration of the war, rather than be exchanged back to the Confederate Army. 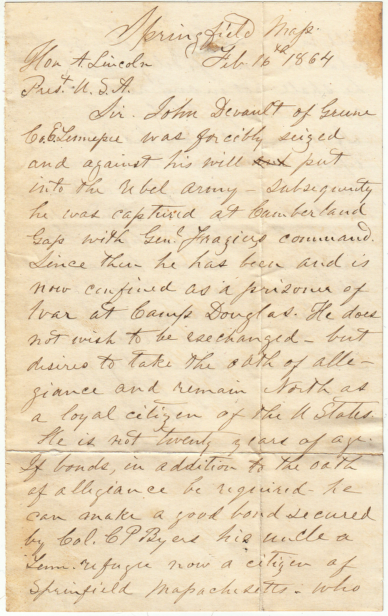 President Lincoln approved the request, and on the President's order, John Augustus DeVault was administered the Oath of Allegiance, and released from prison, on May 25, 1865 (a month after the President was assassinated). After the war he returned to his native Greene County, Tennessee, married in 1880, raised four children and lived until 1917. He and his wife are buried at Greeneville.